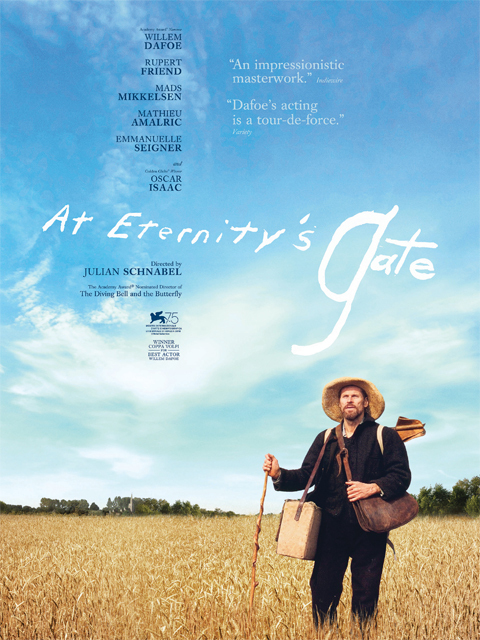 Thanks to Transmission Films here is your chance to win one of 20 x in-season, double passes to At Eternity's Gate. Directed by Julian Schnabel and starring Willem Dafoe as Vincent van Gogh. 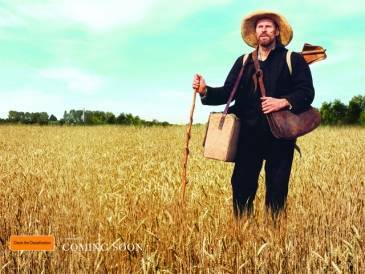 Synopsis: Julian Schnabel's luminous new film takes a fresh look at the last days of Vincent van Gogh, and in the process revives our sense of the artist as a living, feeling human being. The pulsing heart of At Eternity's Gate is Willem Dafoe's shattering performance: his Vincent is at once lucid, mad, brilliant, helpless, defeated, and, finally, triumphant. With Oscar Isaac as Gauguin, Rupert Friend as Theo, Mathieu Amalric as Dr. Gachet, Emmanuelle Seigner as Madame Ginoux, and Mads Mikkelsen as The Priest.